For other places with the same name, see Portland (disambiguation). Portland, "the City of Roses", is the largest city in Oregon and the second largest city in the Pacific Northwest after Seattle. It lies about 70 mi (124 km) from the Pacific Coast on the northern border of the state of Oregon, straddling the Willamette (pronounced will-AM-et) River 12 mi (19 km) south of its confluence with the Columbia River. Vancouver, Washington (not to be confused with Vancouver, Canada) is a Portland suburb and lies immediately on the other side of the Columbia River. About 50 mi (80 km) to the east lies majestic Mount Hood, which forms the perfect backdrop for Portland's skyline. The city is noted for its scenic beauty, great outdoors environment, a large number of microbreweries, and its eco-friendly urban planning policies. Portland is the largest city lying between San Francisco and Seattle and when compared to those cities, Portland's environment is not as fast-paced; instead it has a more laid-back, smaller town feel to it that has been created by planning policies. 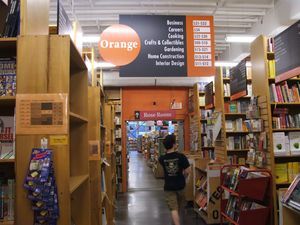 Portland, however, is still a city of 632,309 people with a metropolitan area population of about 2.4 million, and as such has its fair share of cultural amenities, including an impressive music and arts scene and one of the largest collections of zine and independent publishers of any city in the nation. The food, beer, wine and spirits scene is the best on the West Coast and the city has gained a reputation as the Beer and Food Cart Capital of the World. There are now more than 70 breweries in the Portland area and over two hundred wineries within an hour drive. The city's development hasn't yet become overwhelming, in large part due to the progressive urban planning culture here. The city boasts the most extensive light-rail and streetcar system in the country. However, in recent years Portland's growth has started to catch up with daily living, such as having some of the worst traffic congestion in the West, a rising cost of living relative to wages, and a relatively high rate of underemployment for those under 40. It is, however, still the least expensive large city on the West Coast. 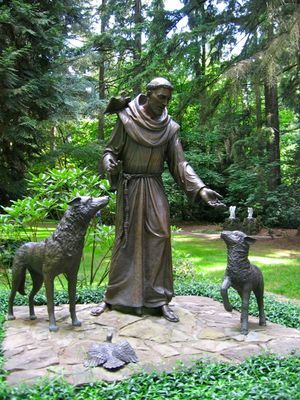 The city has a lovely blend of historic and modern architecture and many lush parks to poke your toes into; Forest Park and Washington Park in the hills west of Downtown offer a variety of plants, trails, and wildlife near the city. Vistas of Mt. Hood and the Willamette River, stately Douglas Fir trees, and roses and trees at every turn give the city stunning seasonal color. Environmentally friendly practices, such as recycling and an extensive (though not as well-serviced as it was in the recent past) public transportation system, are part of the culture here and fuel many progressive city planning practices, such as an urban growth boundary, which have made Portland a relatively compact city. Unlike most similar-sized metropolitan areas in the country, you can drive 15 mi (24 km) from downtown and be out in the countryside. The first European contact in the area came from none other than Lewis and Clark, who sailed along the Columbia River just north of where Portland lies today in 1805; after a year of exploration they finally reached the Pacific Ocean just to the west. The reports from their expedition fueled interest in the area, and settlers came to stake their claim. Two of those settlers were William Overton and his friend Asa Lovejoy, a lawyer from Boston, who came across the spot where Portland now sits and jointly began to build a settlement. Later, Overton sold his share to F. W. Pettygrove, a man from Portland, Maine. As of this point, the area was being transformed from a small stopping point between Oregon City and Vancouver, WA to a formal settlement, and the owners now needed to give it a name. Both Lovejoy and Pettygrove wanted to name the new town after their respective hometowns; so in 1845 they decided to leave it up to a coin toss and Pettygrove won two times out of three. In 1851, Portland was formally incorporated and was growing rapidly; its proximity to the rivers, which funneled a trade with San Francisco to the south, combined by the local fishing, lumber, and agriculture industries fueled Portland's early growth. The railroad arrived in the 1880s, and for a time Portland was the largest city on the west coast north of San Francisco; however the Klondike Gold Rush and the arrival of the railroad to Washington state meant Seattle quickly eclipsed Portland's growth. Portland persisted as a booming railroad, lumber and steel town for several decades. 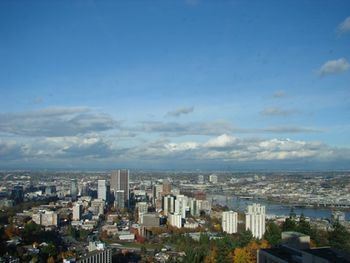 During the 1970s, however, Portland began to gain a reputation for progressive urban planning practices, adopting policies such as an urban growth boundary and constructing new parks in a push to maintain the central neighborhoods as active places in light of suburban development. Through the 70s and into the 80s, Portland became a center for "counter-culture," growing into a hub for punk and indie rock music, zine publishing, and activist movements. The dot-com boom of the 90s brought an influx of modern tech companies along with the so-called "creative class", who remained even after the economic bubble burst. By this point, the city's progressive policies and politics had won the city a special status among urban designers, environmentalists, and political activists as a very forward-thinking city, which has only fueled further growth and development of the metropolitan area. As in other places in the Pacific Northwest, there is abundant rainfall in the fall, winter, and spring. The rain is often a menacing drizzle or mist, meaning you'll often be wet; total precipitation in Seattle and Portland is technically less than many east coast and southeastern cities because there are fewer downpours, instead the rain opts for a near constant drizzle. A sunny day in the rainy season can seem to be very rare, and Portlanders have the unusual habit of wearing shorts and flip-flops the minute the sun comes out, even if the temperature is barely above freezing. Portland has very little snow, instead the winters are very rainy. Bring or buy an umbrella if you're in Portland between October and June. However, it is no myth that a large portion of "Portlanders" don't use, or even believe in, umbrellas, instead preferring hoods and raincoats. It's worth mentioning that there are really only two seasons in the Portland area - rain and summer. The rain and clouds typically last 9 months, from late September often until late June, then suddenly the clouds clear and it is hot and sunny. There is not really a gradual increase in temperatures, it's basically either 48°F (9°C) degrees and raining, or 85°F (29°C) and sunny. Prospective visitors who don't care for rain should be aware that Portland summers, although short, are quite pleasant - July through September have only a 10% chance of rain on any given day, temperatures rarely exceed 85°F (29°C) degrees or so, and local produce (including fresh sweet cherries and some of the world's best berries) is available at farmers' markets and fruit stands in and around the city. July and August are typically the hottest months, temperatures occasionally hit 100°F (38°C) or more. D Delta (International & domestic) (Gates D3-11 odd numbered), Hawaiian Air (Gate D10), Spirit (Gate D4), Virgin America (Gate D1), United (D2, D6, D8 & D12), Condor, Icelandair, Volaris. Currently direct international flights are offered by Delta from Amsterdam and Tokyo Narita; from Vancouver by Air Canada Express & Alaska Airlines; from Calgary by Air Canada Express on a seasonal basis; and from Guadalajara, Mexico on Volaris. Alaska Airlines is petitioning the federal government for permission to offer direct flights from Los Cabos and Puerto Vallarta on a seasonal basis. International arrivals disembark through Gates D10, D12, D14 or D15 where passengers proceed downstairs, under concourse D, to complete immigration and customs inspections. Upon completion of inspection, passengers can re-check their luggage and go through security screening to come back up into Concourse D between Gates D7 & D9 if connecting to an onward flight. If Portland is the final destination passengers board a free shuttle bus and proceed to the international arrivals zone in the north end of the main terminal building, in front of carousel 10 (United Airlines luggage reclaim), where they can be met by non-traveling friends or family. See this link. A taxi from the airport will cost around $30+ 15% tip. The MAX light rail red line , costs $2.50 (with a free transfer to another train or bus) and takes 30 minutes to travel from the airport to downtown. The last red line light rail leaves the airport at 11:49PM daily. The station is at the south end of the main terminal at the lower level (arrivals), outside the doors, under Concourse A. Click here for a list of additional local (door to door) and long distance buses, shuttles & limousines from the airport. By car, the best way to get to downtown Portland from the airport is to take I-205 south to I-84 west, then follow the signs to the City Center at I-84's terminus and interchange with I-5. This will take you over the Morrison Bridge into downtown. When returning a rental car to the airport, follow the signs to stay in the left lane. However, it is very easy to make the mistake of exiting too soon at the control tower/shuttle bus exit. You need to curve to the right (with the rest of the highway) and not go straight. Even in light traffic, it is dangerous and illegal to immediately turn around. Important Note Concerning Rental Car Returns: If you need to fill up your rental car's gas tank before returning it, be advised there are no gas stations in the commercial area between the airport and Interstate 205 (Cascade Station). If you are heading north on 205, take the Sandy/Killingsworth (Exit 23-A) exit for the closest and most accessible gas stations to the airport. Union Station; "Go By Train"
Amtrak  provides service from Union Station, 800 NW Sixth Avenue (north of downtown), about a 15-min walk from Pioneer Square. The transit mall ends at Union Station, so local TriMet buses and the MAX green and yellow line trains run by Union Station very frequently. The Cascades runs two trains per day between Portland and Eugene via Oregon City, Salem & Albany to the south and four trains daily between Portland and Seattle via Vancouver, WA; Kelso, Centralia, Lacey/Olympia, Tacoma, & Tukwila to the north, with one of those going further north to Vancouver, BC. These trains are more reliable schedule-wise than the long distance trains and offer certain amenities not available on regular Amtrak trains, such as more space for bikes, more laptop outlets, a "Bistro Car" which serves local foods and wine, and the occasional movie. The Coast Starlight, runs the length of the West Coast Between Seattle, Portland, San Francisco Bay Area & Los Angeles. The Starlight has earned the nickname the "Starlate", since it is usually delayed for hours running north from California. The Coast Starlight stops as the same stops as the Cascades (see above) between Seattle and Eugene except Tukwila and Oregon City. This train continues to Chemult and Klamath Falls before crossing into California, south of Eugene. From Washington to the north and California as well as most of the rest of Oregon to the south, the easiest way to get to Portland is on Interstate 5. You can enter the south part of downtown from I-5 before it goes over the Willamette River, or you can take I-405 which runs directly through downtown Portland with a number of exits. From Boise and other points east, Interstate 84 leads along the Columbia into Portland. From the Oregon Coast Highway and other points along the Pacific coast to the west, the easiest approach is U.S. 26. It cuts east towards Portland between Cannon Beach and Seaside. As with all of Oregon, there are no self-serve gas stations in Portland; an attendant will do the pumping for you. The Greyhound Station & the Union Station (Amtrak) are next each other at NW 6th & Irving. Other long distance buses typically stop, streetside, at one or both stations. Check with them for specific locations. Columbia County Rider  goes from Saint Helens & Scappoose to Salmon St between SW 5th & 6th Ave in downtown Portland. SMART (South Metro Area Regional Transit) operates local buses in and around Wilsonville as well as to SW Portland, Beaverton, Canby, Salem, Charboneau and Canby. #2X continues from Wilsonville to the Barbur Transit Center in SW Portland at SW Barbur Blvd (OR Hwy 99w) & Capitol Hwy along I-5. Transfer to Tri-Met #12 or Tri-Met #44 to get to downtown Portland. Tillamook Transportation District operates a local a shuttle in Tillamook city/town as well as buses going up and down US Hwy 101 between Cannon Beach and Lincoln City and other places in between along the Hwy 101 corridor from Tillamook. 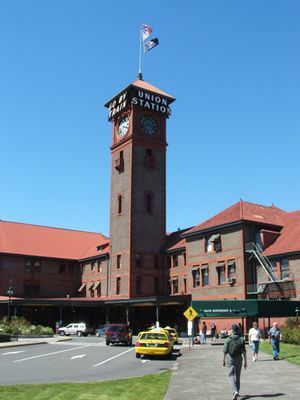 #5 goes to the Greyhound and Union Station in NW Portland from Tillamook via Banks, North Plains, NW 185th & Sunset Transit Center along OR-Hwy 6 and US Hwy 26. Yamhill County Transit Area  operates local shuttles in McMinnville, Newberg, Dayton and cities & towns in Yamhill County and to Tigard, Hillsboro, Sheridan and Salem in surrounding counties. #33 goes between McMinnville and Hillsboro via Carlton & Lafayette along OR-Hwy 47. Transfer Blue Line MAX in Hillsboro to get to Portland. #44 goes between McMinnville and Tigard via Newberg and Sherwood along OR-Hwy 99w. Transfer to Tri-Met #12 in Tigard to get to Portland. Note: Long distance buses (not affiliated with Tri Met) can ONLY pick-up people within the Portland Metropolitan area (served by a Tri Met bus or train) on their outbound trip and drop off ONLY on the inbound trip. For example, you CANNOT take the Tillamook bus from downtown Portland to the Sunset Transit Center, but you can take the Tri-Met MAX train from downtown Portland to the Sunset Transit Center and be picked up by the Tillamook bus for the onward trip to Tillamook from the Sunset Transit Center. No useful boat lines exist, although you can take cruises up and down the Willamette River. Portland is an easy city to bike, walk or use public transport. However there are topographical features that affect how streets and roads flow, so planning and maps are important for any journey of more than a few blocks. The verdant West Hills slope up from downtown and divide it from the suburbs of Beaverton, Hillsboro and others. Much of Portland is a grid, and fairly easy to navigate. Portland is divided into five sectors, sometimes referred to oxymoronically as the "five quadrants". These quadrants are roughly divided by Burnside Street between north/south and the Willamette River between east/west, with a fifth sector (North) between the Willamette River and Williams Avenue. If you hear Portlanders talking about Southwest or Northeast, they're probably talking about a sector of the town rather than Arizona or Massachusetts. 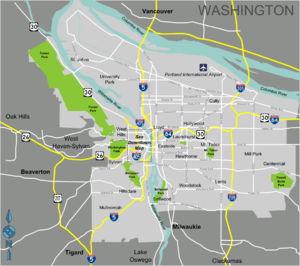 SW - South of Burnside and west of the Willamette River, this sector includes the downtown core. SE - South of Burnside and east of the Willamette River. NE - North of Burnside and east of Williams Avenue. N - North of Burnside, east of the Willamette River and west of Williams Avenue. NW - North of Burnside and west of the Willamette River, this sector is immediately north of downtown and includes the Pearl District, Old Town, and the Northwest district. All Portland addresses contain their designating sector inserted between house number and street name (i.e. 3719 SE Hawthorne Blvd.) The house address numbers increase 100 per block starting from Burnside Street or the Willamette River. This should make it easier to figure out where things are. In general, East/West streets are named while North/South avenues are numbered. An exception is North Portland where North/South avenues are also named. On the West side, some streets and arterial roads follow a North/South grid, others follow the topography and curve a great deal. There are major arterials that cross town in NE/SW or NW/SE orientation including Sandy Boulevard, and Foster Road on the East side, and Barbur Blvd on the SW. The streets of inner Northwest Portland are arranged alphabetically starting with Burnside, followed by Couch, then Davis, etc. through NW Vaughn Street making directions easy to follow here. Driving around downtown is not recommended: inconvenient, expensive and hard-to-find parking combined with active parking meter enforcement (8AM-7PM) and non-intuitive street closures, transit malls and restrictions make it frustrating--even for locals. Most people can walk from one end of downtown to the other in 15 min—-faster than driving at times. Be aware that most of the the city (and everything near downtown) is along the northerly flowing Willamette River, and not the much larger Columbia which flows west. However, the airport and Portland's northern neighbor, Vancouver, Washington is next to the Columbia. If you confuse the two rivers, you can easily mix up your bearings. As the Willamette River can be hard to spot on a map of Oregon, many newcomers mistakenly think Portland is along the nearby Columbia. Cars can be rented throughout the city and at the airport. Additionally, car-sharing services available in Portland include car2go and Zipcar. Portland is a great city for walking. Many intersections are designed with pedestrians in mind, and Portland has a lot of street life. Good mass transit also makes walking more feasible in Portland. 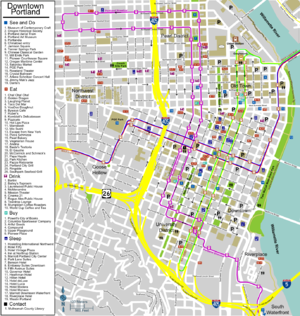 The City of Portland Office of Transportation offers free, highly detailed walking maps  that may be ordered online. For a scenic walk, the Eastside Esplanade  along the Willamette River across from downtown offers lovely views of the skyline. Parts of the esplanade actually float on the water. Portland is an excellent city for cycling, with a network of streets designed to be predominantly used by bicyclists. These streets, such as SE Ankeny, SE Salmon, SE Lincoln, and SE Clinton, are usually spaced about halfway between the main car thoroughfares in the grid of East Portland. The bike streets are generally signed with green "Bike Route" signs. Additionally, many major streets have striped bike lanes. Maps of bike trails can be obtained from Metro , in the Bike There! section. Bikes can also be taken on all buses and MAX lines. The City of Portland Office of Transportation has a bicycle rental webpage . The Blue Line, which runs from Hillsboro east through Beaverton and downtown to Gresham. The Red Line, which runs from the Portland International Airport to downtown and west on to Beaverton. The Yellow Line, which runs from the Expo Center south to downtown and the Portland State University along N Interstate Ave (Highway 99W). The Green Line, which runs from the Clackamas Town Center shopping complex, along I-205 northbound, follows I-84 west to downtown and the Portland State University. The Orange Line, which runs from Amtrak's Union Station, past OMSI, to the suburb of Milwaukie. In downtown it runs along Yellow Line tracks so make sure your train goes all the way to your destination! All of the MAX light rail lines go through the city's downtown. Red and Blue Line trains go in a east-west direction along Morrison and Yamhill Streets, while Yellow/Orange and Green Line trains go in a north-south direction on the Portland Transit Mall, along 5th and 6th Avenues. MAX lines run every 15 minutes for most of the day, with service every 30 minutes in the wee hours of the night. In addition, TriMet operates the Portland Streetcar lines . 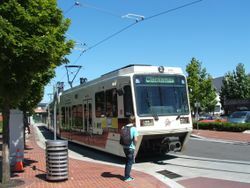 The NS (North/South) line runs through the downtown area along 10th and 11th Avenues every 13-20 minutes, connecting the Northwest Portland, Pearl District, Downtown, Riverplace, and South Waterfront neighborhoods, plus Portland State University. The CL (Central Loop) line runs along the east side of the Willamette River, primarily on MLK & Grand Avenues (both SE & NE). The CL line crosses the Willamette over the Broadway Bridge. The Tilikum Crossing bridge was completed in 2015, which allows bikes, pedestrians and the streetcar to cross the Willamette near OMSI. Streetcar-only tickets can be purchased via credit card from vending machines at streetcar stops, and in cash from ticket machines onboard the streetcar. A two hour streetcar-only ticket is $2.00, and the $5.00 all day ticket is honored on both the streetcar and all of TriMet. A 2.5 hour TriMet ticket costs $2.50. All-day tickets are $5.00. TriMet tickets are good on MAX, bus, and streetcar. You can purchase a ticket at any MAX station with a credit/debit card (though you might have to cross to the opposite platform to find a working ticket machine) or with cash when boarding a bus. Bus drivers are unable to give change. Keep your ticket/pass to show to fare inspectors and as a transfer to other lines. An extensive system map is available for a small cost from the TriMet store in Pioneer Square. MAX stations are unstaffed and there are no ticket barriers; the MAX system operates by proof-of-payment. As a result, fare evasion on the MAX is comically easy. Transit police officers and ticket inspectors do conduct spot-checks, and you'll be fined $175 if you don't have valid proof of fare payment. Crime on the TriMet system is extremely rare. Cell phone chatter and riders obnoxiously playing music on speakers are problems. Downtown Portland is the heart of the city, centered around Pioneer Square and home to modern commercial towers, new condominiums, and converted lofts, along with several museums and urban parks of interest to tourists, including Tom McCall Waterfront Park along the river. To the immediate south of Downtown is the campus of Portland State University and South Waterfront, an urban revitalization area at the southern end of the streetcar line with newly built glass residential towers. 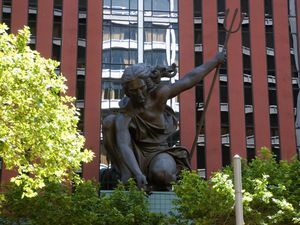 Just to the north of Downtown is Old Town, which is where Portland was first settled and which has some historic buildings and is a nightlife center, but also contains a fair amount of social services for homeless and mentally ill. The neighborhood also holds the remnants of Chinatown which, despite a lovely archway entry at Burnside and 4th Avenue and some Chinese-inspired street decorations, is rather desolate and may prove a disappointment for visitors expecting the bustle of San Francisco's or New York City's Chinatown. Just to the northwest of Downtown is the Pearl District, a very hip and trendy neighborhood on the streetcar line which was not long ago derelict warehouses and empty industrial space. The economic success of the Pearl has made it a frequently cited urban planning model, and it is an excellent place to hang out and people watch, eat in fine restaurants, and visit the famous Powell's Bookstore. Perhaps the best spot to people watch is Jamison Square, a city park at the heart of the Pearl that includes a popular fountain which fills a pool during the summer months that's popular with little kids. For a slightly more quiet retreat, Tanner Springs Park is just a couple of blocks north and built to resemble a piece of reclaimed wetland, with tall grasses and a nice pond. On the First Thursday of every month, all art galleries in the Pearl district open their doors for casual viewing, and many serve wine and cheese. To the north of the Pearl, at the northern end of the streetcar line is the Northwest District, also known as Nob Hill and also on the trendy side and with a variety of retail shops, bars, and restaurants along with plenty of lovely Victorians and tree-lined streets. West of this is the West Hills, where the well-to-do of Portland have traditionally lived. Because of the geography, the streets in the West Hills are a bit of a maze, but they still make for an interesting trek; you'll find lavish mansions, ornate public staircases, and good views of Downtown. Hawthorne Blvd, which runs east-west across the river from Downtown, has a broad selection of shops including a branch of Powell's Bookstore and the ornate Bagdad Theater Pub, and is a center of the counter-culture/bohemian community which is dissipating to make way for a variety of upscale businesses. SE Division, parallel to and a mile south of Hawthorne Blvd. Division was named restaurant row of 2013 by The Oregonian. From 12th Ave to 50th are a dense collection of restaurants and night spots. Especially in the area around 34th. Travelers taking public transit or cabs will not be bothered by the lack of parking that vexes locals. 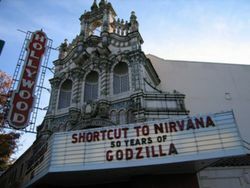 Located along Sandy Blvd northeast of downtown, Hollywood is a commercial district for the nearby neighborhoods and home to the Hollywood Theater, an ornate theater which shows a lot of independent films. There is also a popular Saturday farmers market during the warm months. To the north of downtown between MLK Blvd and 30th Avenue, Alberta Street has much the same feel as Hawthorne Blvd; a counter-culture/bohemian community that's becoming popular with yuppies. Alberta is home to Last Thursday, said by many locals to be the alternative to First Thursday in the Pearl District and also featuring wine tasting and gallery openings, along with street vending and performance artists. 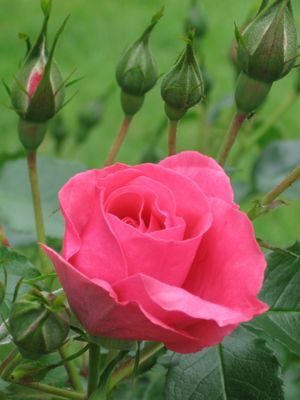 Portland Rose Festival, . This award-winning festival, held in early June, is Portland's largest event. The Portland waterfront is turned into a carnival for a couple of weeks, starting with Fleet Week as military ships moor alongside Waterfront Park and culminating with a bunch of festivities on the second weekend, including the centerpiece of the festival, the Grand Floral Parade held on the last Saturday. Other events include flower shows, other parades, fireworks, and dragon boat races. Portland Timbers, Providence Park (1844 SW Morrison), +1 503 553-5400, . Portland's Major League Soccer team, the Timbers play at Providence Park  (formerly PGE Park and JELD-WEN Field) and are known for their strong local support. After the game, hit the Bitter End Pub across the street from the stadium; it's a popular place to unwind for sports fans. Portland Trail Blazers, Moda Center (1 Center Court), +1 503 234-9291, . An NBA basketball team which plays at the Moda Center. They are well known for having one of the most loyal crowds in all of sports, so make sure to get tickets before the game as it is very rare to have a game that is not sold out. Portland Thorns FC, Providence Park (1844 SW Morrison), +1 503 553-5400, . The city's newest top-level professional team, the Thorns are charter members of the National Women's Soccer League, which began play in April 2013. The Thorns are owned and operated by the Timbers, making them the only charter NWSL team with a formal MLS affiliation (the Houston Dash, joining the NWSL in 2014, also have MLS ties). Springwater Corridor,  A 21-mile multi-use trail extending from SE Portland to the town of Boring, Oregon. It is designed to accommodate hikers, bikers, wheelchairs and horses. Portland Segway Tours,  Portland Segway tours offers 5 tours of Portland daily, including tours of the central business district, Chinatown, Pearl District, Williamette River, and Steel Bridge. Float-On Floatation Tanks,  If you're up for trying something new and unusual then look no further than the sensory deprivation tanks found on Hawthorne. The copious amounts of salt in the water allow you to float effortlessly and the facilities are clean and safe. Floating is a great stress reliever, insightful and a fascinating experience to say the least. Portland has a pretty good music scene throughout town, with venues holding everything from huge national acts to small underground music groups. Many local pubs and bars offer great local bands on weekends, and the city is developing a national notoriety as the nation's "indie rock capital", with many high (and low) profile independent rock music acts calling the city home. Despite its reputation for all that is hip, Portland maintains a fairly diverse range of live music options. Check out one of the two weekly alternative newspapers for comprehensive music listings; the Portland Mercury and the Willamette Week. Waterfront Blues Festival held in early July each year is a three day open air event in Tom McCall Waterfront park. Weather is usually dry and hot making for an easy to attend event. The 2410, 2410 N Mississippi Ave. A warehouse that has been converted to a semi-legit club that draws the biggest names in electronic music to Portland. Starting in recent years as a spot for "underground" raves, the spot has evolved and now hosts a variety of 16+, 18+, and 21+ events. The crowd is usually diverse, with 16-year-old ravers with pupils like saucers, aging wallflowers, and neo-hippies all in attendance. Check flyers at record stores for information on upcoming events. Doug Fir Lounge, 830 E Burnside St, +1 503 231-9663, . Doug Fir Lounge is Portland's slickest, upscale music venue featuring live shows almost every night of the week in the basement, a restaurant on street level and a bar in both. A decidedly hip variety of traveling and local music. Aladdin Theater, 3017 SE Milwaukee Ave, +1 503 234-9694, . A great venue revamped from an old theater hall that offers shows almost nightly, featuring local favorites as well as Northwest and National acts. Food and alcohol available. Wonder Ballroom, 128 NE Russell St, +1 503 284-8686, . A large ballroom with cash bar featuring many of Portland's favorite music artists and national touring acts. Roseland Theater, 8 NW 6th Ave, (at Burnside), +1 503 224-2038, . Roseland Theater is a great place to go see a rock show or catch a hip hop concert. It is a good size venue but still gives you that crowded rock show feel. This venue is very fun to watch a show because the crowd always gets really into the music. It gets very crowded in some parts of the theater. This theater is standing room only. However there are seats in the upstairs to view the show from there. Crystal Ballroom, 1332 W Burnside St, +1 503 225-0047, . Crystal Ballroom often referred to as "The Crystal" is one of the nicest venues in town. The Ballroom is great size and has great art and period light fixtures. This is a clean, well maintained venue. The Crystal has a bar inside with upstairs balcony seating for 21+. The main floor is standing room only which makes the show much more intense. The floor gives under the weight of the crowd and can "bounce" if the crowd decides to jump in unison (to bring on an encore, for example). According the Crystal's website, at the time of its construction, the Crystal's mechanical dance floor (now fully restored to proper working order) was said to be unique on the Pacific Coast. Today, it may be the only one left in the United States. Arlene Schnitzer Concert Hall, 1037 SW Broadway, +1 503 248-4335, . Home to the Oregon Symphony and the Portland Youth Philharmonic. Contains very immaculate Italian architecture in the hall. The concert hall seats 2,776 people and hosts lectures, symphonies, comedians and big name musical acts. Jimmy Mak's Jazz, 221 NW 10th Ave (between Davis and Everett), +1 503 295-6542, . Portland's unofficial home for live Jazz music. Dante's, 350 West Burnside (at 3rd Ave), +1 503 226-6630, . Home of the weird, bizarre, and devilish live music and shows. Rose Quarter, One Center Court, +1 503 797-9619, . The Rose Quarter hosts the Rose Garden and The Memorial Coliseum which are two major arenas. Hosting large, international level touring artists. The Rose Garden is home to the NBA's Portland Trail Blazers. Ticket Prices are usually higher for Rose Quarter Events. "We want you to visit our State of Excitement often. Come again and again. But for heaven's sake, don't move here to live. Or if you do have to move in to live, don't tell any of your neighbors where you are going." -Former Governor Tom McCall, in a 1971 speech. Since then, the Governor's request has been widely repeated by people who ignore it, then quote it. In recent years, Portland has been one of the hardest cities in which to find work. The official unemployment rate in the city went over 14% in March 2009. This has improved significantly and as of January 2014 is now 6.4% Though not ideal, the job market has made significant strides since the Great Recession in 2008. Reed College. Portland is home to Reed College, a small liberal arts college with a beautiful campus. The college frequently hosts educational events and lectures. The campus is worth checking out if not only for the nuclear reactor that is located there. Oregon Health and Science University. Arguably the most prestigious research institution and hospital in Oregon, the site looks like a fortress from a distance. For fun, you can take the cable car from downtown. 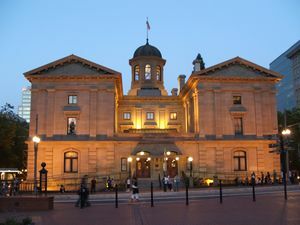 The institution is the largest employer in Oregon. Portland State University . This growing University is getting international attention for programs in Sustainability and Engineering. One of the most diverse areas of Portland with a large Middle Eastern, Asian, as well as older student population of students. Also this is the densest area of Portland and most likely the State due to numerous high rises accommodating the increasing student population. Check out numerous educational events, buildings and exhibits based on sustainability models such as the green wall/roof test gardens. Washington Square, in the suburb of Tigard south of Portland. The largest shopping mall in the state of Oregon, with just about everything you would expect to find. Sellwood. Specializing in antique and vintage furnishings. NW 23rd, north of Burnside. Part of the Northwest/Nob Hill District and one of the most densely populated shopping districts, with some funky and eclectic shops. Hawthorne District, east side of the Willamette River. A popular shopping area, particularly the section between 34th and 39th Ave. Includes head shops, vintage clothing, used books and magazines, local clothing designers and craft stores. Lloyd Center. A large mall just northeast of downtown near the Convention Center with dozens of stores to visit. Clackamas Town Center, off of I-205 exit 14, . Great shopping facilities; smaller than Lloyd Center, but just as much to see. Accessible by MAX green line. Pioneer Place, located downtown on SW 5th & Yamhill. Similar to Lloyd Center, though more upscale. Just about any street in Downtown Portland has some neat shops, particularly around Pioneer Square and Broadway. Pearl District. Just meandering through the neighborhood, you're sure to come across many boutiques, gift shops, and furniture stores. The areas around Jamison Square and the intersection of Lovejoy Street and 10th Avenue have the highest concentration of these fabulous shops. When the weather is nice, find a nearby Food Cart . Often gathering together in pods, food carts provide excellent value (typically priced below $10) and an amazing variety of foods. Prepare to wait several minutes as most food is prepared fresh. It would be difficult to list them, or even give examples, because carts close down and open up at a moment's notice. For a relatively accurate list, check out this blog: . Burgerville, 1135 NE Martin Luther King Blvd (multiple locations around the Portland area), . The NW's own fast food chain with a decidedly NW flavor promoting organic, fresh and seasonal ingredients. Great burgers and traditional fast food fare. Amazing seasonal items including sweet potato fries, asparagus, strawberries, blackberries, onion rings and more. Cha! Cha! Cha!, several Portland locations. Good quality Mexican food at a reasonable price. The Delta, 46th & SE Woodstock St. Southern food (chicken fried steak, jambalaya, grits, etc.) on the cheap. The food is excellent and in large portions. Cheesesteaks & Burgers* Pioneer Courthouse Square, 701 SW Sixth Ave. Delicious Philly cheese steaks and burgers, as well as tastey home-brewed pickled eggs. Dockside Saloon and Restaurant, 2047 NW Front, probably the best classic breakfast in Portland: perfect eggs to order, great bacon and world class golden hash browns. Pleasant waitresses, good coffee and excellent value. Equinox, 830 N Shaver St (at Mississippi St), . Excellent variety of egg scrambles, vegetarian fare. EuroTrash, 4262 SE Belmont, Just north of Belmont station. Mediterranean food with a sloppy American twist - Cute pink black and teal cart, fantastic for lunch and dinner. in the Good Food Here food cart lot. Fat City Cafe, Multnomah Village. Local favorite, serves excellent breakfasts. The french toast is recommended. Golden Dragon, SW 3rd at Stark (above Cameron's Books). Pretty good food for a cheap, dive-y Chinese Buffet. The decor is well-worn, but it still has a lot of classic Chinese kitsch character. Pick a window seat so you can enjoy the people watching while you eat. Grand Central Bakery, 5 locations: Sellwood, Multnomah Village, on Fremont in Mississippi district, Hawthorne at 22nd, and on NE Weidler at 15th (Irvington district), . Artisan breads, pastries, soups, sandwiches and salads. Gravy, 3957 N Mississippi Ave. Great egg scrambles and other hearty breakfast fare. Can be a long wait on weekends. Le Bistro Montage, under the east end of the Morrison bridge, . Good Portland character, with Cajun style food including mac and cheese, alligator bites, and great mud pie. Service is quirky. New Seasons Supermarket, Five locations: Concordia, Orenco Station, Raleigh Hills, Sellwood, and Seven Corners on SE division, . Fantastic sandwiches and an awesome deli counter. You can choose your bread, meat/tofu pate, veggies, and spreads. Nicholas' Restaurant, 318 SE Grand Ave, . Great value Lebanese food, family owned and operated where everything is made from scratch. Small seating area so there can be waits. Olé Olé, 2137 E Burnside St. Great burritos and a good budget option. Original Hotcake House, 1002 SE Powell Blvd. Open 24/7. A local landmark, famous for excellent food, great prices, and a quirky after-hours clientèle (after 1AM the place gets a bit rough). Pine State Biscuits, 1100 SE division, . Excellent biscuits, gravy and bacon. Riyadh's, SE 14th and Hawthorne. An excellent source of affordable Lebanese food. Taqueria Los Gorditos, SE 50th and SE Division St. Vegan and non-vegan food, cheap but delicious and with a very expansive menu for a taco cart, including quite large burritos. The ingredients are fresh and the staff friendly. Byways Cafe, 1212 NW Glisan St. A very '50s-style diner in the middle of the trendy Pearl District, with spectacular breakfast eating and enormous portions. Get a serious blast from the past, and enjoy the food too. Chinese Delicacy, 6411 SE 82nd Ave., serves delicious Chinese food and is open fairly late. Flying Pie Pizzeria,  has been voted one Portland's favorite pizza restaurants for the past decade by hungry locals and media critics alike. They have stores located in SE Portland, Gresham and Lake Oswego. Huber’s, 411 SW 3rd Ave, Inside the Historic Oregon Pioneer Building, +1 503 228-5686, . Portland’s oldest restaurant since 1879, dinner is priced between $11.95 to 23.95; lunch menu is similar with prices between $6.95 and $12.95. Known for its turkey dinners and Spanish coffees, pour right at your table. Kornblatt's Delicatessen at 628 NW 23rd Av. Serves up a mean corned beef sandwich, better than most of what you'll get on the West Coast, not to mention their famous bagels. Outside tables in the summertime add to the pleasure. Pizzicato or Hot Lips Pizza, Pizzicato is throughout the metro area; Hot Lips 1909 SW 6th Ave. (downtown near Portland State University) and 710 NW 10th Ave (in the Pearl District). Excellent thin-crust pizza at both. At Pizzicato, try the faux-Italian options, and at Hot Lips get any of the surprisingly good veggie pizza toppings, like artichoke. Marrakesh For a truly unique dining experience, try this restaurant. Great food and the atmosphere is truly one-of-a-kind, with the guests sitting on long, ornately decorated couches or on huge pillows on the floor and Moroccan tapestries hanging on the walls. They also make sure you get your money's worth as $18.50 buys a five-course meal. Mio Sushi, near NW 23rd St., is a great and constantly crowded place to eat sushi. It's also pretty reasonably priced. The sushi is fresh and even when crowded the service is pretty quick. 2271 NW Johnson St.
For New York-style pizza, it's hard to beat Escape from New York at 622 NW 23rd., and New York, NY, 7737 SW Barbur Blvd. uptown. The restaurants are shrines to New York, unlike their chain-restaurant counterpart, Pizza Schmizza, (also quite good and spread throughout Portland). Also worth checking out are Bella Faccia, 2934 NE Alberta St. and Pizza A Go-Go, 3420 N Williams Av. Portland is famous for its bread, and the bakery that started it all, Pearl Bakery, anchors the Pearl District. The bread is rightly acclaimed as the best in town, and you can eat in and get a variety of sandwiches or even excellent breakfast pastries. 102 NW 9th Ave., in the Pearl District. Salvador Molly's, , 1523 SW Sunset Bld, +1 503 293-1790, +1 503 234-0896. Pirate Cookin'! Caribbean and South American cuisine with a pirate twist. Try the Great Balls of Fire (a habanero cheese fritter), eat 5 and get your photo on the wall of fame. These were featured on the Food Network as a Top 5 Spicy Treat. Andina, at 1314 NW Glisan St. . A Peruvian restaurant with a good selection of platas (like Spanish tapas) as well as contemporary and traditional Peruvian entrees. Live music is performed most evenings in the lounge, a popular date destination. Basta's Trattoria, at 410 NW 21st Av., serves excellent Italian food in a rustic-style decor. The wine list is extensive, and the menu is long but not overwhelming. El Gaucho, 319 SW Broadway Ave., (downtown) . A chain with other restaurants in Seattle and Tacoma. The steak and ambiance don't come cheaply, however, so be prepared. Ken's Artisan Pizza 304 SE 28th Ave, . Wood Fired oven cooking amazing pizza and other superbly executed Italian dishes. Expect a wait. McCormick and Schmick's, Downtown at 235 SW First Ave.  (McCormick and Schmick's Seafood Restaurant), 0309 SW Montgomery St. (McCormick and Schmick's Harborside at the Marina), 401 SW 12th Ave. (Jake's Famous Crawfish), 611 SW 10th Av. (Jake's Grill). Has now expanded across the US, but "way back when" it was just four (now five) Portland fresh seafood restaurants. They still serve fresh seafood, too, and it's excellent almost any way they prepare it. Papa Haydn 701 NW 23rd Av., near downtown, or 5829 SE Milwaukie Ave., in Sellwood. If you like dessert, this is the place to go. Although the entrees aren't all that impressive, sometimes there are four different lemon desserts, not to mention a wide selection of chocolates of every kind. Park Kitchen, 422 NW Eighth St. Pearl District. Wonderfully inventive, delicious cuisine served in a lovely setting, with a view of the park blocks. Pazzo Ristorante, 621 SW Washington St. Downtown. Both an excellent location near several movie theaters and the shopping district and solid Italian-Pacific Northwest fusion cuisine. It gets quite crowded on Friday and Saturday nights, however, so be forewarned. Portland City Grill, 111 SW Fifth Av. (30th floor of the Unico/US Bancorp Tower), . The highest restaurant in Oregon, on the 33rd floor of the former US Bank tower, this restaurant is known for its views and Happy hour. If you can arrange a window table, you can enjoy your meal overlooking the city of Portland. The menu offers a selection of steak and seafood that can be expensive. Lunch, however, is not expensive (moderate range; 11AM-4PM) and offers the same wonderful view and good food. Happy Hour is even cheaper (budget range; 4:30pm to 6:30pm and after 9:00pm) for the same good food, but much more crowded than lunchtime. Portofino Caffè Italiano, 8075 SE 13th Av., in Sellwood. A very small restaurant with attentive service and solid northern Italian and French Riviera cuisine. Red Star, 503 SW Alder St, Downtown, . Upscale new American classics done very well. Located below Hotel Monaco. Ringside, 2165 W Burnside St, downtown . Portland's original steakhouse. Autographs from famous musicians, athletes and movie stars line the walls. Great steak, dimly lit and excellent service. Southpark Seafood Grill & Wine Bar, 901 SW Salmon St. Located in the southwest corner of the shopping district and near a few movie theaters and the main Portland Center for the Performing Arts facilities. The food is excellent Mediterranean-Italian fare with a regional seafood twist. 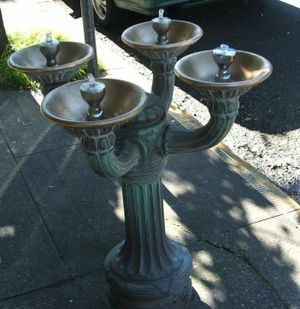 If you're looking for a free drink while walking around downtown, look no further than the Benson Bubblers , a series of ornate drinking fountains scattered throughout the downtown area, made of copper and in one-bowl and four-bowl variations. Installed by Simon Benson in the 1910s, the fountains continuously run from 6AM-11PM daily and offer a cool drink perfect for the summer months. Portland is often referred to as "the microbrewery capital of the world", and it's a well-earned title. Take advantage of the Northwest's famous microbrews - small breweries that serve their own (and other's) craft beers. A world away from the generic beers that are the mainstay of America. Portland also has more traditional nightlife drinking establishments mainly located downtown and in 'The Pearl' - you will find everything from dance clubs, gay bars, an assortment of karaoke bars and much more. Portland likes its alcohol. Bagdad Theater and Pub, 3702 SE Hawthorne Blvd, +1 503 228-4651. 2:30PM-midnight daily (depending on feature). The Bagdad is one of the great things about Portland: a 700-seat second-run movie theater serving a selection of regional craft brews you can drink while you watch. Bartini 2108 NW Glisan St. A cocktail bar with an extensive and interesting drink list, it has excellent atmosphere and good Happy Hour prices. As for food, they have a wide variety of fondues (including a scrumptious chocolate fondue) and other great dishes. Belmont Station  4520 SE Stark, Belmont Station is both a store and bar/cafe. The store side hosts over 1000 bottled beers from around the world, and the cafe offers a solid lineup of sandwiches, soups, and light pub fare, as well as interesting beers on draft. The friendly and knowledgeable staff make this the place to go to explore Portland's beer scene. Clinton Street Theater Pub shows a great assortment of esoteric films and the world's longest running Rocky Horror Picture Show. The Delta Cafe on SE Woodstock, serves messy Barbecue Pork sandwiches, lemonade in a jar, mixed drinks and 40 oz Mickey's. Dots, SE Clinton and 26th. A funky night spot. Hair of the Dog Brewing, 61 SE Yamhill St, +1 503 232-6585, . A microbrewery that achieved a weird sort of notoriety for high-alcohol-content beers, including "Dave," which had an astonishing 29% alcohol by volume. (It's no longer produced.) Originally not a brewpub, a recent relocation closer to the Willamette River has added a taproom (W-Su 2PM-8PM), and its beers can also be found around town at such places as Higgins and the Horse Brass. Hopworks Urban Brewery, 2944 SE Powell Blvd,  One of the newest additions to the Portland brewpub scene. They emphasize sustainable practices business model. Hoppy beer with a distinct flavor. Horse Brass Pub, 4534 SE Belmont St, . Another English-style pub that also serves a range of English-style food. An "old-world" atmosphere, reasonable prices, an huge beer list, free darts, and a friendly and knowledgeable staff make this a great place to relax with a pint and catch up with old friends. The smoke in here used to reach epic levels on weekend nights before Oregon's smoking ban took effect. Laurelwood Public House & Brewery, 1728 NE 40th Ave (also a NW location at 2327 NW Kearney St). For the quintessential Portland brewpub experience. Enjoy beer crafted by award-winning Brewmaster Christian Ettinger along with excellent food in a family-friendly setting. The garlic fries are not to be missed, desserts are huge and appealing, and the Laurelwood Spinach Salad is the best salad in Portland. Very child-friendly, so be aware of unsupervised toddlers darting around between the tables. Entrees are creative and of high quality. McMenamins,. Opening with its original location in 1983, The Barley Mill Pub, McMenamins now boasts over 50 locations in Oregon and Washington, which include the Bagdad Theater and Pub, Mission Theater and Pub, and the Kennedy School. Not all locations have theaters. Mission Theater 1624 NW Glisan St, and Kennedy School Theater 5736 NE 33rd Ave, are part of the McMenamins Empire. Cinema 21, 616 NW 21st Ave,  A non-chain, non-McMenamins owned cinema brew pub showing more foreign, documentary and experimental film. Laurelhurst Theater  and Clinton St Theater  are other cinemas serving beer, wine and food. Red and Black Cafe, 400 SE 12th Ave, . A Worker owned collective in SE. Usually carries at least one craft beer from Captured by Porches, a local microbrew which is prevalent around the punk rock community. Everything, including the beers are vegan. If you are not in the mood for alcohol try their daily brewed iced teas in flavors like lemon ginger mate, and nettle peppermint, or their cold pressed coffee. Cheap eats too host to Portland's best Vegan Reuben. Rogue Ales Public House, 1339 NW Flanders St, +1 503 222-5910, . Best burger and fries downtown, and more beers than you can handle. Teardrop Lounge, 1015 NW Everett St,  One of the more upscale, inventive cocktail spots in PDX. The great drink concoctions have been written about in many national publications. Bula Kava House. Newly opened, friendly atmosphere. Kava kava is a mildly sedating drink from the South Pacific. Definitely worth a try if you're in Portland since the South Pacific is quite far away. Great place to relax and socialize in a semi-authentic atmosphere, all the while trying something entirely new and exotic. Coffee People, . Now available only at a small handful of locations inside Portland International Airport, it used to be Portland's answer to Starbucks' empire, except with real milkshakes, and better coffee. Try a Velvet Hammer if you need caffeine. Pied Cow, 3244 SE Belmont St, Phone: +1 503 230-4866. A great coffee house in Portland. No other place like it. If you visit for the summer, you must come to this place. It's a great experience. Ristretto Roasters, 3520 NE 42nd Ave (note that the shop is on the side street across from the school even though the address is on 42nd), . Great, hard-core coffee roaster where craft is more important than flash. This small coffee shop roasts its own coffee in a visible back room. Be sure to take some home as there are not many places that do such a good job with their roasting. Free Wi-Fi on site. In 2008, Ristretto Roasters opened its second, larger location and coffee lab, 3808 N Williams Ave, +1 503 288-8667. Stumptown Coffee Roasters, four locations; SW 3rd and Pine, SE 35th and Belmont, Ace Hotel on SW Stark and 11th, and SE 45th and Division. One of the most celebrated and appreciated local coffee roasters in a city known for good coffee, Stumptown is credited for having beans that taste as fresh as a good home roast. Frequent customers include a quirky assortment of hipsters, yuppies, artists and the like. Many other coffee shops around town sell exclusively Stumptown coffee, and beans can be purchased whole at any of the three locations, as well as more gourmet grocery stores such as Wild Oats and Whole Foods. World Cup Coffee and Tea, on 18th and NW Glisan, in Powell's City of Books downtown and the Ecotrust building in the Pearl District. Great locally owned company whose on-site coffee roasting has won awards. Serves organic, sustainable coffees in a great and comfortable atmosphere. One of the best coffee shops in Portland. Portland is one of the safest major cities in the United States by virtually any measure. Most people, including single female travellers, generally will not face problems walking alone at night. However, Portland is still a large metropolitan city — beware of pickpockets in crowded areas and don't forget your common sense entirely. Portland's cleanliness is achieved in part by strict rules against public nuisance activities that are often flouted in many other US cities. For example, jay-walking, littering, and drinking and eating on public transit are prohibited. Due in part to a major shortage of affordable housing throughout the region, the number of people experiencing homelessness in Portland has risen sharply in recent years. If you are walking in downtown or stopped at a major road intersection, you may be approached by people asking for food or money. Unlike many other major US cities, people panhandling are seldom aggressive, and a simple no will end nearly all encounters. Whilst jaywalking is illegal, it is still a common thing and occurs quite often around the city. Beware though that if a police officer catches you, you might get a warning or even a fine if you persist. Put simply: the roads are for vehicles and the sidewalks are for people. Two area codes cover the Portland metropolitan area: 503 and 971. All ten digits must be dialed when dialing local numbers in the Portland area. Portland is the home of two Pulitzer-Prize-winning publications and a number of smaller tabloid-format newspapers of note. Due to some heated local politics the town has become a rather thorny place for journalism. Portlanders identify their politics by what paper they read (Oregonian vs Tribune, Willamette Week vs Mercury). Most other publications would be of only passing interest to travellers but to read what locals think and feel, some of the better neighborhood papers: Northwest Examiner, Portland Observer, Skanner, St. John's Sentinel, and Portland State University Vanguard. Located just 50 mi (80 km) from the Cascade Range and 90 mi (145 km) from the Pacific Ocean, Portland is the perfect home base for day trips to Mount Hood, Mount St. Helens, the Columbia River Gorge, the northern part of the Oregon Coast, or the wineries in the Willamette Valley. If you intend on staying longer in the Pacific Northwest, Portland is fairly centrally located in the region, making for nice extended trips to Seattle, Vancouver, Bend, and many state and national parks. This page was last edited on 28 November 2018, at 17:25.